Mandibular/Maxillary Injuries are injuries to the upper (maxilla) and lower (mandible) part of the jaw. These injuries are sustained as a result of trauma to the face. Facial Injuries involving the mandible and maxilla are usually accompanied by Soft Tissue Injuries to the face. Causes of Mandibular / Maxillary Injuries? 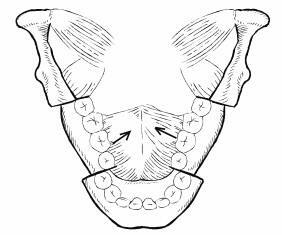 What are the most common types of Mandibular Injuries? The most common type of Mandibular Injuries is fractures of mandible bone. Mandibular (Jaw) Dislocation - Dislocation of mandible may be accompanied by spasm of the masseter and pterygoid muscles (muscles of chewing) that prevent normal mouth closure and results in intense pain. What are different types of Mandibular Fractures? Simple Fracture - Also known as closed fracture, this type of Mandibular fracture does not produce a wound open to the external environment, whether it be through the skin, mucosa, or periodontal membrane. Multiple - In this type of mandibular fracture, there are two or more fracture lines that are not connected to each other. Indirect - The fracture site is distant from the site of injury. Comminuted - This type of fracture involves splintered or crushed bone. Pathologic - This fracture occurs from mild injury because weakening of bone due to pre-existing bone disease. Impacted - In this type of fracture, one fragment of the bone is driven firmly into the other. Atrophic - Mandibular fracture resulting from severe atrophy of the bone. What are the most common types of Maxillary Injuries? What are different types of Maxillary Fractures? Transmaxillary Fracture - The fracture runs between the maxillary floor and the orbital floor. long-term complications of this fracture are loss of teeth, infection and malocclusion. Pyramidal Fracture - Due to its triangular shape, it is called pyramidal fracture. This type of fracture involves separation through frontal process, lacrimal bones, floor of orbits, zygomaticomaxillary suture line, lateral wall of maxillary sinus and pterygoid plates. The complication of Pyramidal fracture involves nonunion of fractured bones, obstruction to the tear duct or tear producing gland, double vision and malocclusion. Craniofacial Dissociation - This is a very severe kind of fracture and may be associated with severe skull and brain injury. 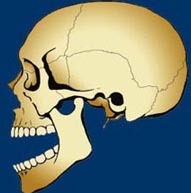 This fracture results in separation of the mid face from the skull at the level of nasofrontal sutures extending laterally through the orbits to the zygomatic arch and posteriorly through the pterygoid plates. What are the manifestations of Mandibular / Maxillary Injuries? Dizziness, vertigo, or unsteadiness that prevents standing or walking. Floaters, which may appear as dark, specks, strings, or cobwebs that float through the eye. A pus-filled pocket (abscess) just under the skin surface or deep in tissue. How are Mandibular / Maxillary Injuries treated? Mandibular / Maxillary Injuries are treated in two phases; immediate treatment of Mandibular / Maxillary Injuries (acute phase) and delayed treatment of Mandibular / Maxillary Injuries (surgical intervention). Do not move damaged or broken facial bones - It may make an injury worse and increase bleeding. Ensure patency of airway - Establishing a patent airway is definitely a priority for the management of Mandibular / Maxillary Injuries. Visual examination and palpation - Examine the face starting from the scalp down to the upper part of neck and side-to-side (from ear-to-ear). Examine for any obvious swellings, depressions, or bruising. Stop the bleeding - Face is a very vascular part of the body therefore, Facial Injuries have a tendency to bleed profusely. Apply steady pressure for 15 minutes at the site of injury. In case of a nosebleed, apply an ice pack to your nose and cheeks and keep pinching the soft part of your nose for 15 minutes. Wound decontamination and debridement - This step consists of removing debris, pus, blood, glass or gravel from the wound. This is usually done with cleansing and irrigation with normal saline. Wound assessment - Assess if there is any damage or injury to blood vessels, nerves, tendons, ligaments, joints, bones, or internal organs. Medications - Pain medication, antibiotics and a tetanus shot are the first line of treatment. Diagnostic studies - It is important to perform diagnostic tests like x-ray, CT scan, MRI and arteriography to plan appropriate management of complicated Mandibular / Maxillary Injuries. Wound exploration - After wound cleansing, use adequate anesthesia to numb the pain and discomfort. Undiscovered foreign bodies, partial tendon lacerations, and joint penetration are more likely to be overlooked if a wound is not adequately explored. Wound closure - Staple closure is not suitable for wounds from Facial Injuries. Minimal or non-tension sutures significantly impact the esthetic appearance of the wound and play an important role in the mechanism of closure. Observation of the lines of expression is vital to a natural-appearing repair. Wounds on the face may be closed up to 24 hours after injury. Repair of Mandibular / Maxillary Injuries - Repair of Mandibular / Maxillary Injuries within the first 12 - 24 hours is optimum as the tissues are less prone to infection and the healing would be faster. Open or closed reduction of fracture of the facial bones - Open reduction, is also known as surgical reduction with rigid fixation. In Open reduction of Mandibular / Maxillary Fracture plating systems provide the most common method of rigid fixation. The trend in facial fractures is toward using resorbable plating systems. Closed reduction is the non-surgical method of reducing a fracture. Closed reduction is performed under deep sedation to minimize pain and discomfort. Plastic Surgery and Reconstructive Surgery - Consult a Plastic surgeon for complex, cosmetically threatening lacerations or nerve injuries. Plastic surgery procedures like Skin Grafting, Skin Flap Grafting, repair of Soft Tissue Injuries or Facial Injuries. Microvascular Surgery is routinely used for reconstruction in the head and neck area. Disfigurement or injury to the nose can be corrected by a Nose Job (Rhinoplasty). Consultation by an ophthalmologist, E.N.T. specialist and a neurosurgeon is necessary for management of severe Mandibular / Maxillary Injuries. What is the 'rehab' like following Mandibular / Maxillary Injuries? Mandibular / Maxillary Injuries can impart a high degree of emotional, as well as physical trauma. The process of managing these injuries requires a team of specially trained health care professionals who will educate you and your families on how to provide best care during rehabilitation period, and will also outline specific problems that might require immediate medical attention. The team of health professionals for the management of Mandibular / Maxillary Injuries will comprise of neurosurgeon, cosmetic dentist, orthodontist, speech therapist, E.N.T. specialist, eye specialist, hearing specialist, psychiatrist and a social worker. With the availability of state-of-art computer imaging system, you will have a better idea of the results that might be achieved by surgical intervention. A formal treatment plan will be put together utilizing the skills and expertise of health care professionals specializing in management of Mandibular / Maxillary Injuries. Corrective treatments for Mandibular / Maxillary Injuries will most definitely improve the esthetics of your face, it will also improve breathing and feeding problems that are associated with Mandibular / Maxillary Injuries. Asymmetry of your face - This is a common problem when one side of your mouth and nose do not match the other side. In such a case, a revision surgery is performed to try and match both the sides of the face as closely as possible. Incomplete repair of Mandibular / Maxillary Injuries - A second operation or revision surgery may be required for complete correction. Bleeding, swelling, bruising and delayed healing - It is normal to have some bruising and oozing of bloody discharge from the face areas which will soon subside. The treatment options discussed above are the best available to treat individuals with Mandibular / Maxillary Injuries.